Discussion in 'United's Women's Team' started by jojojo, Aug 12, 2018. It starts off with a group stage. We play each team once, top two qualify. Liverpool, Everton and Reading are WSL1 clubs. Durham, like us, are in the Championship. Say it's on BT Sport 2. Wow nice. Hopefully it's true. I'm sure United women's games will get decent attention from football fans in general. First real game since 2005! Hope we don’t get smashed! Confirmed. The game will be shown on BT Sports 2! Anyone else going to the match me and my niece are going. That's great. Are you planning to go to some of the home matches as well? I was thinking about going, but the combination of the timing, stadium location and it being on TV is making me lazy. If they'd confirmed a noon kickoff or kept it as a Saturday match, I would have gone. I'm actually excited but nervous about this match being on tv it's a tough match vs Liverpool. Hope we win or we'll never hear the end of it. 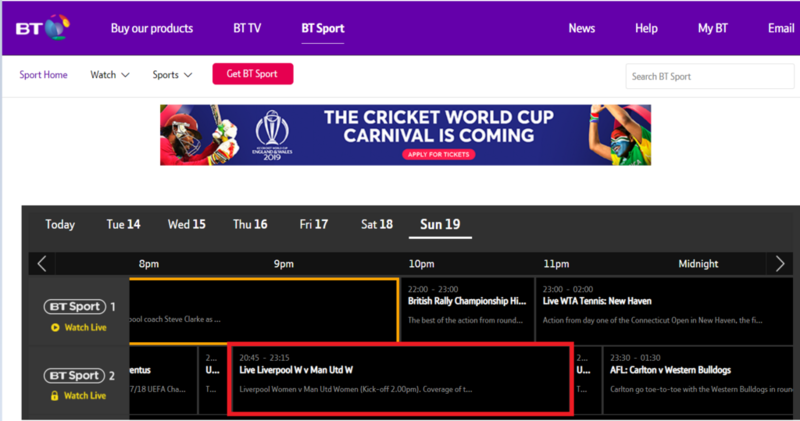 Is this usual for early WSL matches to be broadcast on TV? Or is it because Liverpool vs United? Don’t worry, the result will be forgotten in about 70 years time! We’re one division down from them, so they are Draga and we are Rocky! It will be extra interesting for Stoney, but also Greenwood and Chamberlain! Me too. Maybe we'll meet up at some point, though I can't get to the Reading game, so it may take me a while! I've only ever heard of them broadcasting the League Cup final in the past, though I think the FA might have put some games on their Facebook page. I doubt anyone's usually keen enough to broadcast a Championship team in the group stage though. The BBC broadcast the women's FA Cup, so if we get an interesting draw in that, we might appear on there as well. Funny isn't it. All this time in hiding and then first official time out, not only is it on TV in a Cup match against a WSL1 team, it's against Liverpool. Had to be really. So if my timings are right we can watch our first women's game and then immediately turn over to watch the men away to Brighton? It will be a drama! Can’t wait for this! I’m not too worried about losing this as really we should lose anyway with it being our first competitive game against an established, tough opponent. It would be much worse for Liverpool if they lost. I’m just excited to see what this team can do. Katie Zelem has played there. Any others in the team/squad? More or less our entire defence came from there. Naomi and Emily, like Katie, were only there because they had to be, they're from our Academy really! We do have one defender NOT from Liverpool - that's Kirsty Smith from Hibs. We've also got a blue scouser: Mollie Green. The M-62s sounds like a great band name! Sorry if it is a wrong topic - any chance anyone is actually broadcasting this? -United vs Reading Women next week live on MUTV. I wonder why Liverpool still show that as their official badge when they haven't worn it on their kit in years. Bit weird. Lauren James is only 16 - she's the one we poached from Arsenal. Zelem, Hanson, Millie Turner were all United youth team players. A few hundred maybe. There won't be many United there with us on telly later. C'mon the team, great to see them after all this time. Loving Chamberlain's distribution right now. Sigsworth looks really pacey. We are I would say the far better team at this moment. We've started well. Not quite getting the final ball right, but looking good.